The long awaited Cimarron ’62 Pocket Navy Conversion chambered in .380 ACP made its debut at SHOT Show 2019, held in Las Vegas, Nevada, Jan. 22-25, 2019. 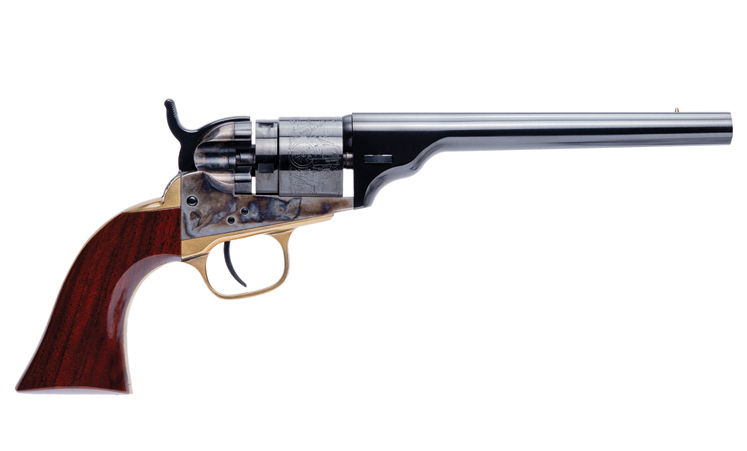 Unlike any revolver on the market today, the 1862 Pocket Navy Conversion shoots the popular and affordable .380 round. Fredericksburg, Texas (January 2019) –Cimarron Firearms revives the popular Colt 1862 Pocket Navy Conversion revolver with the utmost attention to detail and craftsmanship, while bringing this coat pocket-sized cartridge conversion into the 21st century by chambering it in .380 ACP.